With Brent prices briefly breaking the $60 mark on Friday morning, there is a cautious optimism in the oil market. Gulf Coast refineries almost back to normal. 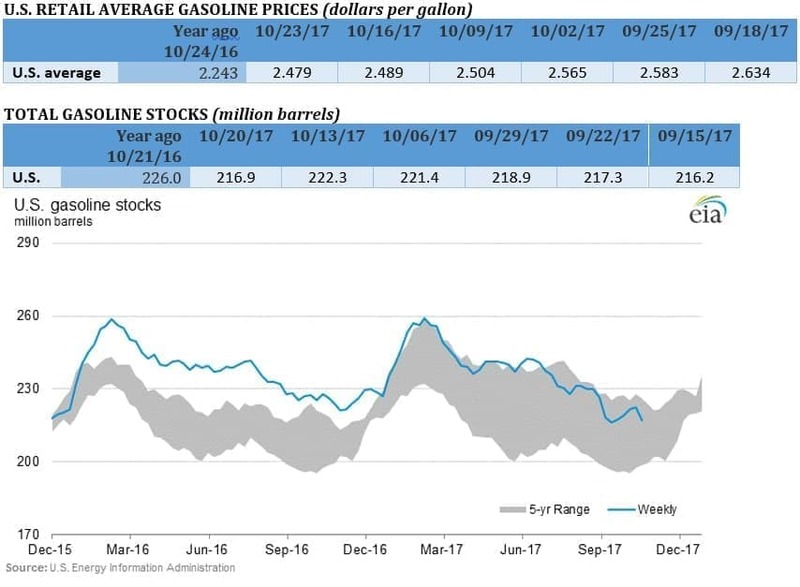 Refinery runs along the Gulf Coast averaged 8.8 million barrels per day for the week ending on October 20, or about 324,000 bpd higher than the five-year average, according to the EIA. 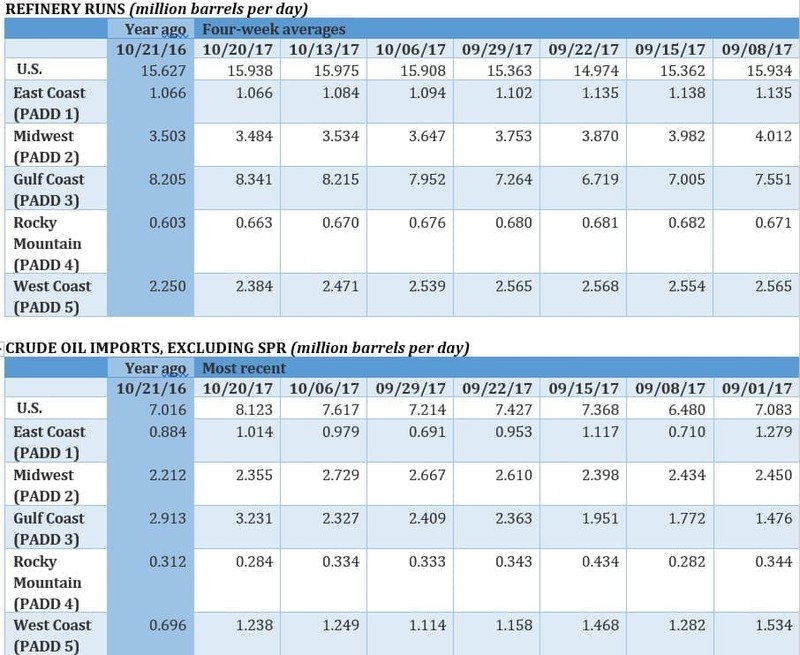 Refinery runs had been down by 3.2 mb/d, or 34 percent, in the immediate aftermath of Hurricane Harvey. Two months on from the devastating storm, things are nearly back to normal. ACWA Power International to spend $4 billion on renewables. Saudi-based ACWA plans to spend $4 billion on renewable energy projects in 2018, according to chairman Mohammad Abunayyan, with projects slated to be developed in Egypt, Jordan, Dubai and Morocco. The investments are a sign that the Middle East is becoming more attractive for renewables investment, with multiple side benefits including lower pollution as well as the ability to free up crude for export. ACWA is planning an IPO in the second half of 2018. Venezuela faces nearly $1 billion debt payment on Friday. The fiscal and economic crisis could be coming to a head on Friday, as Venezuela owes a $842 million debt payment on October 27. After skipping payments on about $600 million of debt payments earlier this month, the Friday deadline is the biggest test yet for the crumbling South American nation. Unlike the earlier payments, there is no 30-day grace period for Friday’s bond repayment. That means if Venezuela is even one day late, it will technically be in default. Analysts still expect Venezuela to come up with the funds, but the government and PDVSA are rapidly running out of cash. Venezuela started to make good on missed payments from earlier this month, easing fears of a default. But the problems are not over – even if it meets the Friday payment, PDVSA has another $1.12 billion payment due November 2. “[T]he next two months will be a reality check, pay or not, and the consequences for the domestic economy will be dire,” Luisa Palacios, an analyst at Medley Global Advisors, wrote in research note. “[T]he country simply does not have enough money to pay the $3.5bn…in the two months.” Based on credit-default swaps, the markets view Venezuelan credit as the riskiest in the world. 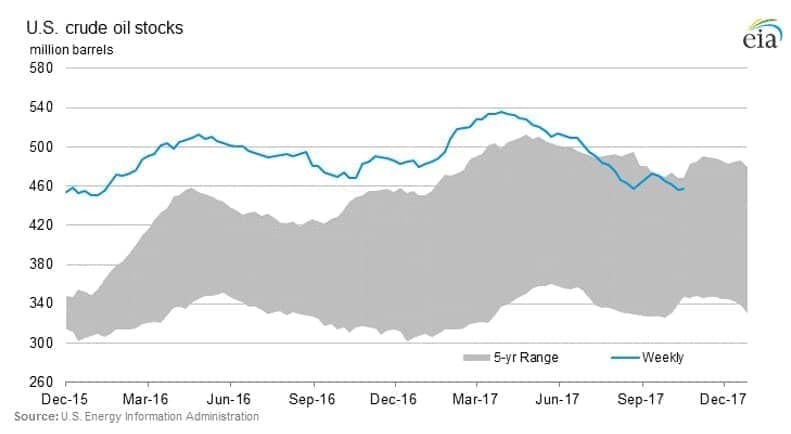 Meanwhile, Venezuela’s oil exports to the U.S. have plunged. Argentina’s YPF to spend $30 billion over next five years. YPF, Argentina’s state-owned oil company, announced plans to spend $30 billion over the next five years to boost oil and gas production. YPF is hoping to ratchet up oil and gas production 5 percent annually, reaching 700,000 barrels of oil equivalent by 2022. Much of that will come from conventional drilling, but YPF also has plans to ramp up output in the vast Vaca Muerta shale, with a target of boosting output by 150 percent by 2022. The announcement comes after the ruling government of President Mauricio Macri won key midterm elections a week ago, bolstering his plans for energy development. Kurdish oil workers fled production facilities. Reuters reported that Kurdish oil workers abandoned Kirkuk oil fields ahead of the advance by the Iraqi government, which was backed by Iranian militias. The workers shut down some oil fields, and the incoming Iraqi forces found a lack of equipment as well as the knowledge of how to restart the fields. That has kept some 350,000 bpd of production offline. Sources told Reuters it could take at least another week to restart operations. Royal Dutch Shell says can produce in Brazil’s deepwater for $40 per barrel. Royal Dutch Shell (NYSE: RDS.A) said it will participate in Brazil’s Friday auction for deepwater assets, confident that it can win some offers and produce in those areas for $40 per barrel. The auction will be the first in the pre-salt in four years. Brazil has seen a resurgence of interest in its deepwater after a policy change last year that allows international companies to operate pre-salt fields. U.S. to offer largest ever offshore oil auction. The Interior Department said earlier this week that it would propose the largest oil and gas lease ever held in the U.S., putting up 77 million acres in the Gulf of Mexico. The sale is scheduled for March 2018. Saudi Aramco says U.S. shale “sweet spots…will not last forever.” Saudi Aramco CEO Amin Nasser says he does not worry about U.S. shale because the “sweet spots” will eventually deplete. "The concentration that we are seeing today is on the sweet spot of shale, and this will not last forever," Nasser told CNBC. "You can concentrate for some time on the sweet spots and produce more oil. But ultimately you need to venture downward, and that's where you have less quality and you require more cost to produce these barrels," he added. Is U.S. Shale Past Its Prime? Rise baby rise, the higher it gets,the sooner big oil gets replaced. Rise baby rise!!! !